still life with blueberries, egg and flour, 8x8 in. still life with a cup of milk and bread, 6x6 in. 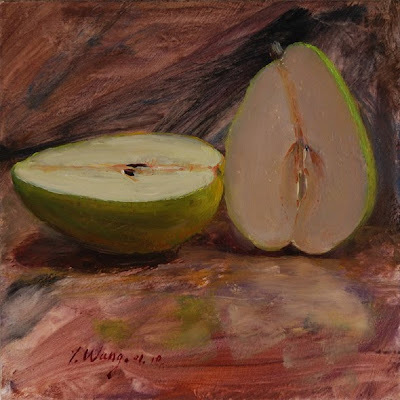 2 halfs pear, 6x6 in. fruits in white plate, 8x8 in. a glass bead, 3x4 in. a blueberry tart #2, 5x7 in. a small cake 5x5 in.